Located in the rapidly growing Parramatta CBD, the three hectare site is set to reinforce Parramatta’s position as the second major CBD in the Sydney region, outgrowing the likes of Chatswood and North Sydney. The stage 1 building is a 14 level commercial 26,500sqm tower costing $220m which will now aid in the educational development of over 10,000 students. 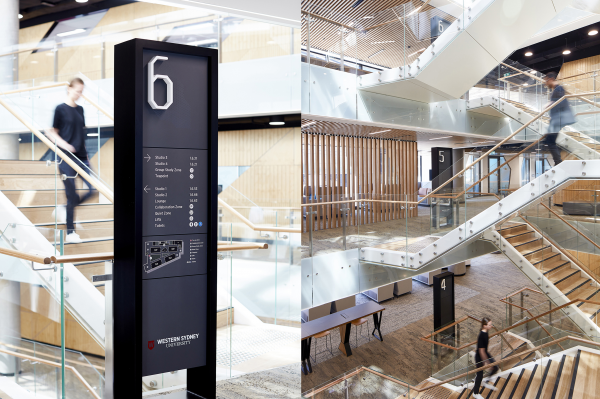 The impressive tower interiors were masterfully designed by our collaborative partners Woods Bagot Architects, and features a central atrium connecting the podium floors and a façade that acts as a connective device to the neighbouring Parramatta Square. 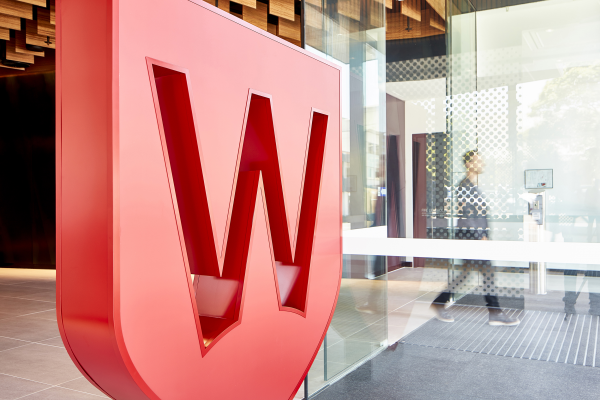 Western Sydney University’s new flagship Parramatta Campus at 1 Parramatta Square (1PSQ) marks the start of an exciting new era for the University. 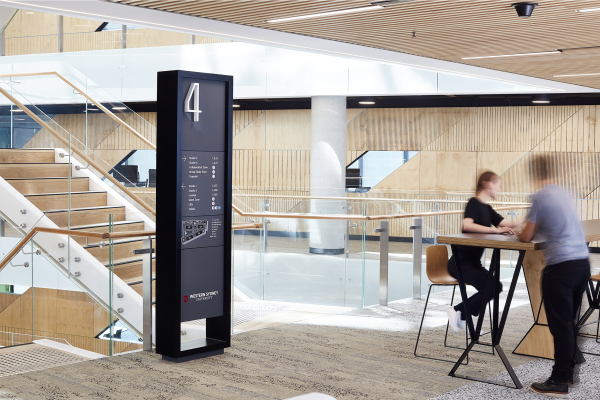 The new purpose-built vertical campus is modelled upon an activity-based workplace (ABW) principles, ensuring an agile facility that can respond to changing campus needs. The mixed-use campus provides an offering that appeals to a large variety of audience segments including tenants, retailers, students, staff and visitors. The tower is true showing of human connectivity and collaboration – rightfully fitting for a growing educational institution. 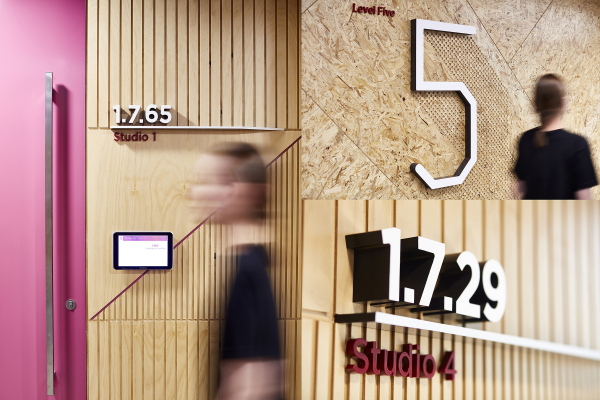 THERE were tasked with designing an intuitive static & wayfinding system that both supported the campus’ new learning style and responded to the architectural integrity created by supporting parties. THERE’s solution was to establish a wayfinding strategy & circulation study to better understand the needs and wants of the user groups, their priorities and touch-points. 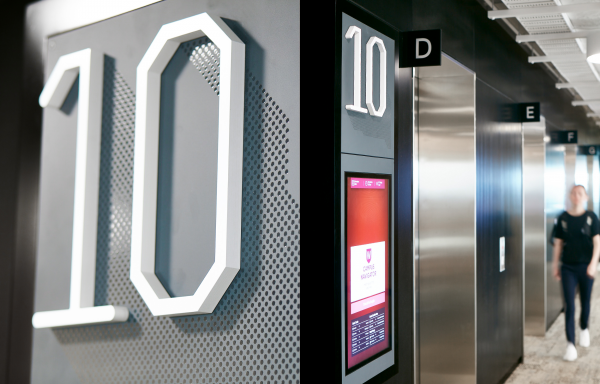 We designed a master signage hierarchy along with a digital strategy that defined the scope and identified the need for an integrated digital touch-screen approach that could provide users with real-time information. Any time, from any screen. We called this the WSU Campus Navigator™. 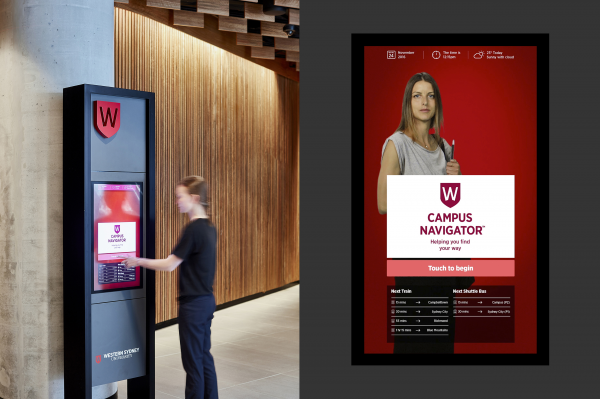 It was designed to enable users to stay connected to the campus and nearby amenity. 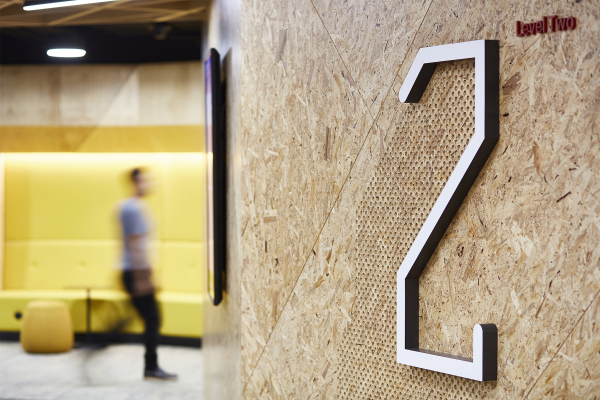 The ground floor was further activated by super-scale WSU logos that were internally lit to provide day & night presence within the new Parramatta Square precinct. 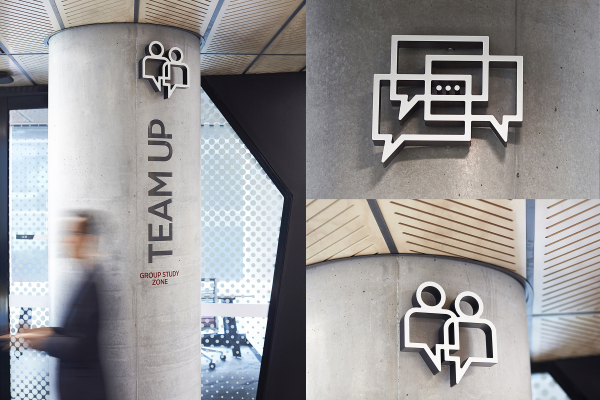 This feature creates a sense of refreshment in the campus as no other universities feature large-scale logo installations on their campuses. This light installation is another innovative feature of the campus that shapes the future and growth of the university. consisted of layers upon layers of information that needed to be condensed into a visual and graphical format so all users could understand it. 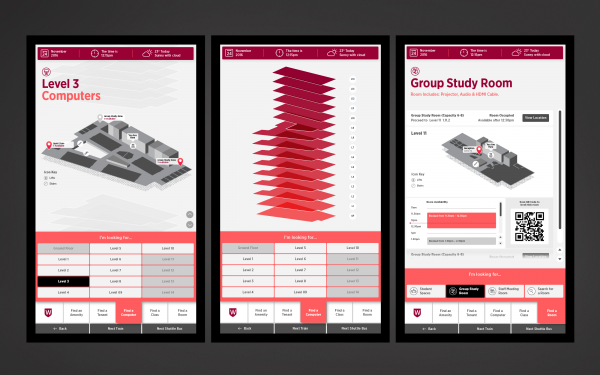 We devised a range of visual cues and custom infographics to fit within the campus floor plans and overall campus navigation information within the digital interface. 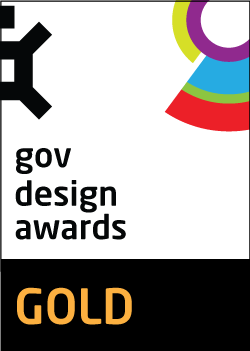 The overall user experience was met with highly positive reactions. We believe the Campus Navigator will be an integral part of the new campus and enable students, faculty, visitors and tenants the freedom and know-how to navigate around the campus and access additional travel information. We are also happy to announce that WSU's feedback was also met with high praise, and we're now collaborating on a new partnership for their brand new Liverpool campus coming soon.